The following information comes from my culinary school textbook, Cook's Illustrated and personal experience. I hope it's helpful to readers as it has been to me! All Purpose Flour: Cook's Illustrated prefers unbleached flour to bleached flour because the bleached flour imparts a slight chemical flavor. Replace 1 cup of cake flour with 7/8 cup of all purpose flour and add 2 tablespoons of cornstarch. Bread Flour: This is a high protein flour mainly used for rustic breads with a chewy crumb and crisp crust. Wheat Flour: This flour has a nutty, sweet flavor and brown, flecked color. It also comes in white whole wheat flour. Recipes made with these flours will be denser, with less volume than those with white flour and tend to have a heavier crumb. If you prefer to use wheat all purpose and bread flour over the white, it's important to know some tips. 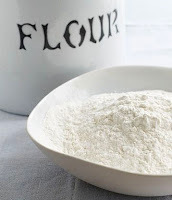 Check out tips from King Arthur Flour here. Storing Flour: When I purchase flour in paper packaging, I transfer the flour into an airtight container with an opening wide enough for a 1 cup measuring cup. Storing flour in a designated container prevents it from absorbing moisture and makes it easy to access without making a big mess. The exception to this is storing whole wheat flour. Whole wheat flour has a reduced shelf life because fats in the germ can become rancid so you'll want to store this flour in the refrigerator. Granulated Sugar: This is the all purpose sugar used throughout the kitchen. It comes from either sugarcane or sugar beets. The crystals are a fine, uniform size for a variety of purposes. Replace 1 cup superfine sugar with 1 cup granulated sugar pulverized in a food processor for 30 seconds. Replace 1 cup confectioner's sugar with 1 cup granulated sugar and add 1 teaspoon cornstarch then ground in a blender, not food processor. Replace 1 cup of light brown sugar with 1 cup granulated sugar and add 1 tablespoon of molasses. Replace 1 cup of dark brown sugar with 1 cup granulated sugar and add 2 tablespoons of molasses. 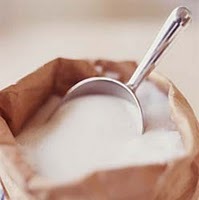 Sanding Sugar: This sugar has a large, coarse crystal structure that prevents it from dissolving easily. It's used almost exclusively for decorating cookies and pastries. Turbinado Sugar (Demerara Sugar): This is the closest consumable product to raw sugar. It's partially refined and light brown in color, with coarse crystal and a caramel flavor. It's sometimes used in beverages and certain baked goods. Because of it's high and variable moisture content, turbinado sugar is not recommended as a substitute for granulated or brown sugar. Molasses: This sweetener is the liquid by-product of sugar refining. Edible molasses is derived only from cane sugar, as beet molasses has an unpleasant odor and bitter flavor. When it comes to baking, light or mild molasses is best used instead of dark or robust. But if you want a fuller flavor, opt for the latter. I don't recommend blackstrap molasses, which is very dark, thick and can leave a bitter aftertaste. Honey: This is a strong sweetener consisting of fructose and glucose. It's created by honeybees from nectar collected from flowers. Its flavor and color vary depending on the season, the type of flower the nectar came from and it's age. Honey is also highly hygroscopic (water attracting) which means it will attract water from the air on humid days and lose water through evaporation more slowly than granulated sugar. As a result, it keeps products moister and fresher longer. When it comes to baking, mild flavor honey, such as orange blossom or clover, is the best to use since it doesn't overpower other flavors. Over time, the honey may harden and crystallize. To liquefy it again, place the open container of honey in a saucepan filled with 1 inch of water and stir over low heat until liquefied. Corn Syrup: This sweetener is produced by extracting starch from corn kernels and treating it with acid or an enzyme to develop a sweet syrup. This syrup is extremely thick or viscous and less sweet tasting than honey or refined sugar. Its viscosity gives foods a thick, chewy tesure. It also stabilizes recipes made with sugar, preventing them from recrystallization. Corn syrup is available in both light and dark forms; the dark has a caramel color and flavor is added. Like honey, corn syrup is also highly hygroscopic. Maple Syrup: This sweetener is made from the sap of sugar maple trees. Sap is collected during the spring, then boiled to evaporate its water content, yielding a sweet brown syrup. One sugar maple tree produces about 12 gallons of sap each season; 30-40 gallons of sap will produce 1 gallon syrup. Pure maple syrup must weigh at least 11 pounds per gallon and is graded according to color, flavor and sugar content. The more desirable maple syrups are Grades AA and A, and have a light amber color and delicate flavor. Pure maple syrup is expensive, but it does add a distinct flavor to baked goods and frostings. Those maple flavored syrups are usually corn syrups with artificial colors and flavorings added. When it comes to baking, try to use darker, Grade B maple syrup because it has a stronger flavor and if you can't find grade B, reach for Grade A dark amber. Replace 1 stick of unsalted butter with 1 stick salted butter and omit 1/2 teaspoon of salt from the recipe you're using. Margarine: Similar to butter, margarine melts at a slightly higher temperature than butter, making it useful for some rolled in doughs. Because they require higher temperatures to melt, margarine and other vegetable based shortenings can leave a greasy taste on the tongue. Shortening: Any fat is a shortening in baking because it shortens gluten strands and tenderizes the recipe. But in this case, shortening is that solid, white, generally flavorless fat, specially formulated for baking (Crisco). Shortenings are made from animal fats and/or vegetable oils that are solidified through hydrogenation. These are 100% fat and have a high melting point. Solid all purpose shortening is ideal for greasing baking pans because it's flavorless and odorless. When substituting shortening in a recipe calling for butter, additional liquid must be added to compensate for the lack of moisture in the shortening. Most commonly used in pie crust doughs, it really adds a lot of flakiness. Because shortening doesn't contain water, it can add a desireable crispness to cookies. Avoid butter flavored shortening, which will give baked goods a slightly chemical flavor. Oil: Unlike butter and other fats, oil blends thoroughly throughout a mixture. For baking, use a neutral-flavored oil unless the distinctive taste of olive oil is desired, as in some breads. Never substitute oil in a recipe requiring a solid shortening. An oil I use is a canola or vegetable oil, which can be used interchangeably. Baking spray: This is a great and convenient alternative to butter, shortening and/or oil to grease baking pans to prevent sticking. Specifically, nonstick cooking spray with flour creates an impenetrable nonstick surface without the mess of buttering and flouring pans. Baking sprays have an added bonus - they don't pool in corners like regular sprays. Baking Soda: This is also known as sodium bicarbonate. It's an alkaline compound (a base), which releases carbon dioxide gas if both an acid and moisture are present. Recipes made with baking soda must be baked at once, before the carbon dioxide has a chance to escape from the batter or dough. 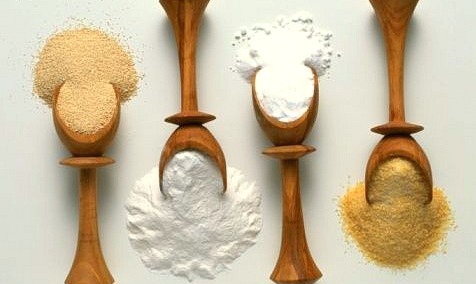 Acids commonly used with baking soda include buttermilk, sour cream, lemon juice, honey, molasses and citrus fruits. Generally the amount of baking soda used in a recipe is only the amount necessary to neutralize the acids present. Too much baking soda in a recipe causes the dish to taste soapy or bitter; it may also cause a yellow color and brown spots to develop. Replace 1 teaspoon of baking powder with 1/4 teaspoon baking soda and add 1/2 teaspoon cream of tartar. Yeast: This is a living organism, a one celled fungus.Yeast feeds on carbohydrates present in the starches and sugars in bread dough, converting them to carbon dioxide and ethanol, an alcohol, in an organic process known as fermentation. For most common, household baking, instant yeast (aka rapid-rise yeast) is faster acting and easier to use. It doesn't need to be proofed (mixed with warm water) and can be added directly to the dry ingredients of the recipe. Since yeast is a living organism, it should be stored in a cool environment, either in the refrigerator or the freezer. Be sure to check the expiration date as well. Extracts: These are mixtures of flavoring oils or essential oils and ethyl alcohol.Vanilla, almond, orange and lemon are frequently used extracts. For the holidays, try having peppermint, rum, and maple extracts in your pantry. Spices: These are strongly flavored or aromatic portions of plants used as flavorings. They tend to be the bark, roots, seeds, buds or berries of plants, most of which grow naturally only in tropical climates. 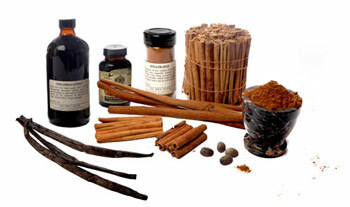 Spices are almost always used in their dried form, rarely fresh and can be purchased whole or ground. Some baking spices to have on hand include cinnamon, nutmeg, allspice, cloves, and cardamom. Some of the fun in baking comes from mixing in baking chips to add flavor and texture. 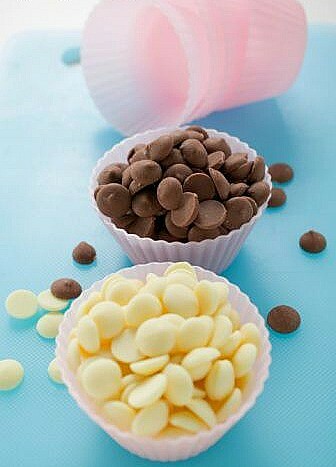 The most common baking chips would be chocolate chips. Even chocolate chips come in various flavors like milk, dark, bittersweet and white. 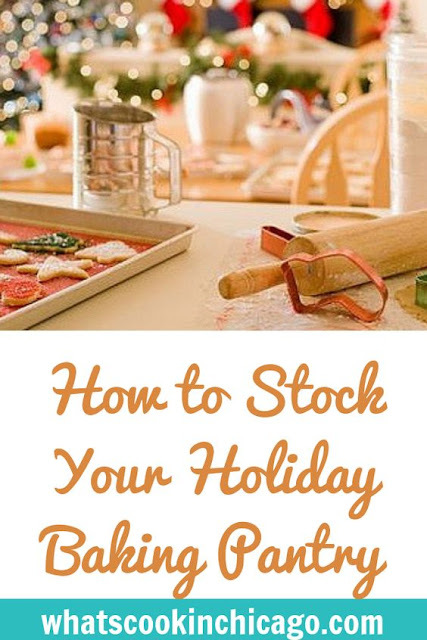 During the holiday months, you may notice various kinds of baking chips available. Aside from chocolate, try keeping other flavors on hand such as butterscotch, toffee, peppermint, cinnamon, creme de menthe, etc. 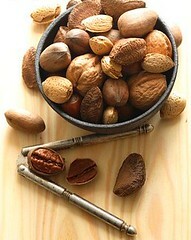 Nuts provide texture and flavor to baked goods and are often substituted for all or part of the wheat flour in pastry. Nuts are high in fat, making them especially susceptible to rancidity and odor absorption. I store my nuts in the freezer to keep them longer and prevent them from going rancid too quickly. Nuts are often roasted or toasted before use to heighten their flavor. Allowing roasted nuts to cool to room temperature before grinding or chopping prevents them from releasing too much oil. Some of my favorite nuts to have on hand during my holiday baking include walnuts, pecans, almonds, hazelnuts, pistachios and cashews. Whole Milk: This milk comes directly from the cow consisting of 86% water. 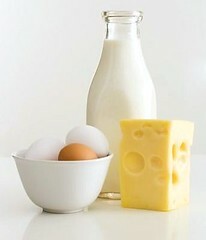 It also contains about 3.5% milkfat and 8.5% other milk solids (proteins, milk sugar and minerals.) For most baking recipes, I use whole milk, however I've also substituted with low fat milk too. I don't recommend baking with skim milk because it tends to leave baked goods dry and tough. Evaporated Milk: This is produced by removing approximately 60% of the water from whole, homogenized milk. The concentrated liquid is canned and heat sanitized. This results in a cooked flavor and darker color. Evaporated skim milk, with a milkfat content of 0.5% is also available. Evaporated milk can be reconstituted with an equal amount of water and used like whole milk for cooking and baking. Sweetened Condensed Milk: This is similar to evaporated milk in that 60% of the water has been removed. But unlike evaporated milk, sweetened condensed milk contained large amounts of sugar (about 40-50%). This milk is also canned and the canning process darkens the color and adds a caramel flavor. Sweetened condensed milk cannot be reconstituted for whole milk or evaporated milk because of its sugar content. Half & Half: This is a mixture of whole milk and cream containing between 10-18% milkfat. The milkfat helps with a tender crumb and flakiness in baked goods. Heavy Cream: This contains at least 36% milkfat making it a very rich ingredient. It whips easily and holds its whipped texture longer than other creams. It must be pasteurized, but is rarely homogenized. Replace 1 cup of buttermilk with 1 cup of milk and add 1 tablespoon lemon juice and let it sit and thicken for 10 minutes. Sour Cream: This is produced by adding the same culture to pasteurized. homogenized light cream. The resulting product is a white, tangy gel used to give baked goods a distinctive flavor. Sour cream has a milkfat content of at least 18%. Cream Cheese: This is a soft cow's milk cheese that contains approximately 35% fat. I tend to use reduced fat cream cheese (Neufatel cheese) to cut some fat and calories. This is great to use in baked goods, especially in making really quick doughs. holy cow! this is a great and helpful post! great post...extensive and informative. 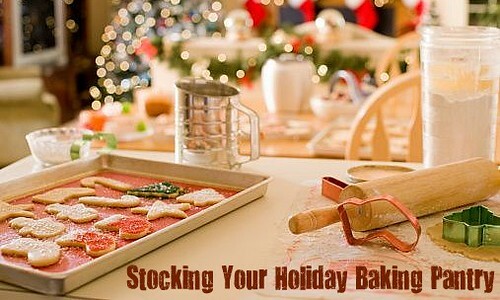 i always bake my holiday gifts and it is always amazing how many ingredients we need!